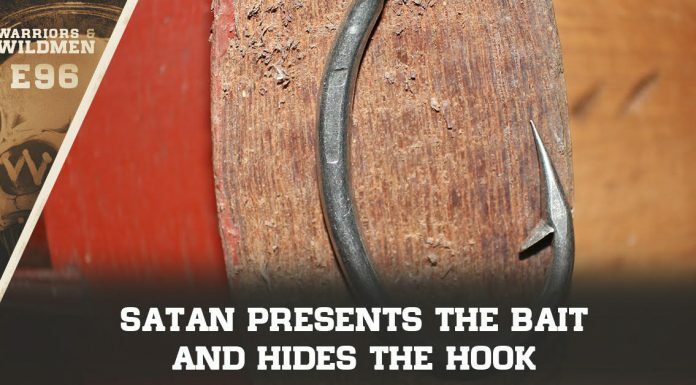 Well, look at that. It seems our glamorous First Lady is having an effect across the globe. Melania wowed crowds every time she was seen in public, on the campaign trail and then as First Lady. She’s poised, polished and elegant. From her powder blue Jackie Kennedy-style inauguration outfit to her love of clean lines and sophisticated tailoring, she’s not put a foot wrong when it comes to fashion. Now style bible Vogue has confirmed that – after just three full months as First Lady – Melania Trump’s fashion influence has already trickled down to Europe’s royals – not to mention other women on the world stage, such as Juliana Awada of Argentina and Queen Rania of Jordan. 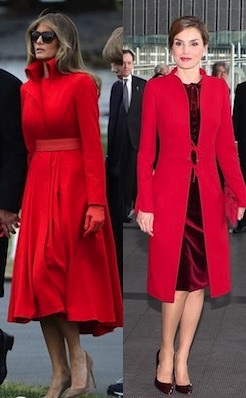 The Melania effect was confirmed by writer Edward Barsamian, who noted how Queen Mathilde and Crown Princess Mary had both adopted Melania’s style on the Belgian royals’ state visit to Denmark at the end of last month. ‘Queen Mathilde’s periwinkle blue coat could have been pulled straight from the new First Lady’s wardrobe, and was reminiscent of the custom Ralph Lauren Collection Inauguration Day outfit,’ he said. 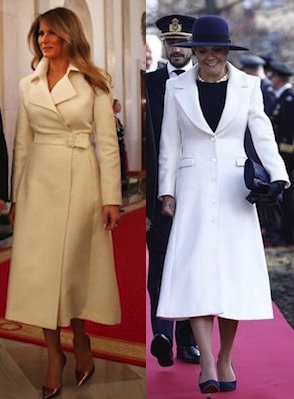 The First Lady’s love of clean, simple lines and monochromatic outfits are being copied by the upper-crustiest of the upper crust — Royalty. From L-R: First Lady Melania Trump, Crown Princess Mary of Denmark, Queen Mathilde of Belgium, and Argentinian First Lady, Juliana Awada. From L-R: First Lady Melania Trump, Crown Princess Victoria of Sweden. From L-R: First Lady Melania Trump, Queen Letizia of Spain. From L-R: First Lady Melania Trump, Queen Mathilde of Belgium.